Since taking office in February, Steven Mnuchin has been busy doing the things Treasury secretaries do: Negotiating tax reform. Navigating the debt ceiling. Sanctioning rogue states. He's also been reading about himself in the press for a series of eyebrow-raising controversies. The latest was Wednesday night. ABC News reported that Mnuchin had asked whether he could use a government airplane for his honeymoon earlier this summer. Treasury said Mnuchin made the request so he'd have access to secure communication during the trip to Europe, but that he later withdrew it. Ethics rules are quite clear that executive branch employees are prohibited from using their position, title or authority to serve their own interest. That includes not endorsing products or organizations and not using government equipment for any other use than what's been authorized. Mnuchin's actions have raised red flags not once, but three times, in his roughly nine-month tenure. 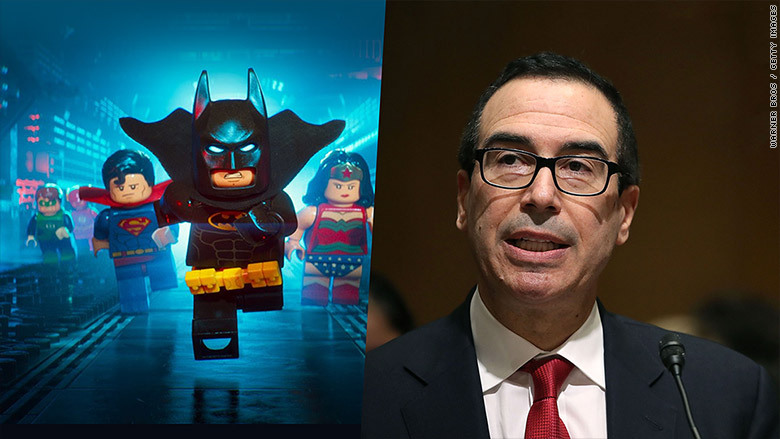 During an interview at an Axios conference in March, Mnuchin encouraged attendees to buy tickets to see the new "Lego Batman" movie. That's not just any movie -- his production company, RatPac-Dune Entertainment, produced it before he was nominated by President Trump. Mnuchin acknowledged during the interview that he probably shouldn't endorse the movie. "Well I'm not allowed to promote anything that I'm involved in, so I just want to have the legal disclosure. You've asked me a question, and I am not promoting a product. But you should send all your kids to Lego Batman," said Mnuchin. The audience laughed. Mnuchin later clarified his response in a letter to the head of the Office of Government Ethics. "It was not my intention to make a product endorsement. I should not have made that statement," he wrote. Mnuchin's acknowledgment of his oversight was enough for Walter Shaub Jr., the head of the government's ethics office at the time, to forgo any further disciplinary action, according to a letter Shaub wrote to a top lawmaker. 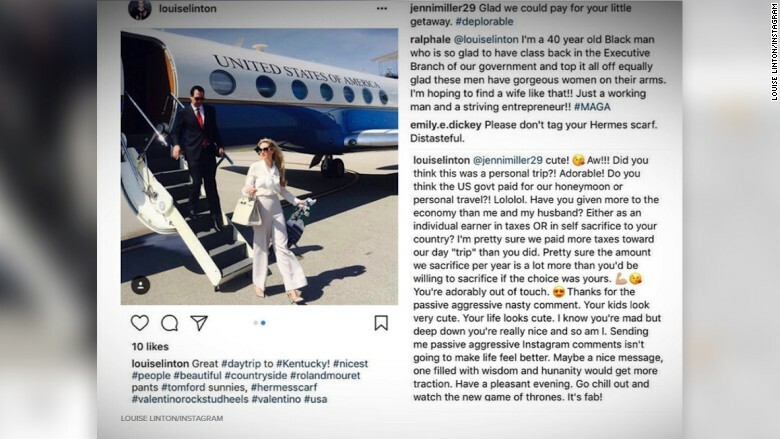 Jaws dropped in August when Mnuchin's new wife, Louise Linton, posted a photo of herself on Instagram stepping out of a government plane on a trip to Louisville with her husband. Mnuchin was visiting Senate Majority Leader Mitch McConnell to discuss tax reform. In her post, Linton tagged a series of luxury designers -- Hermes, Tom Ford and Valentino. She then belittled a person who commented on it. Social media pounced and called Linton ostentatious and out of touch. Public outrage prompted the Treasury Department's inspector general to say it would review the circumstances of the trip. The goal would be "to determine whether all applicable travel, ethics, and appropriation laws and policies were observed," Richard Delmar, counsel to the inspector general told CNN in a September 1 statement. The Kentucky trip included a stop at Fort Knox, where Mnuchin and McConnell watched the solar eclipse. The Treasury Department has defended Mnuchin's trip as "official government travel" and denied that viewing the eclipse was the primary purpose of the trip. The department said the government aircraft was used to facilitate the secretary's travel schedule and to ensure uninterrupted access to secure communications. "The Department of the Treasury sought and received the appropriate approval from the White House. Secretary Mnuchin has reimbursed the government for the cost of Ms. Linton's travel in accordance with the longstanding policy regarding private citizens on military aircraft," a Treasury spokesperson told CNN earlier this month. This is the first time a Treasury secretary has ever been investigated by the Inspector General for use of military aircraft for travel -- personal or otherwise, Richard Delmar, counsel for the IG office told CNN on Thursday. 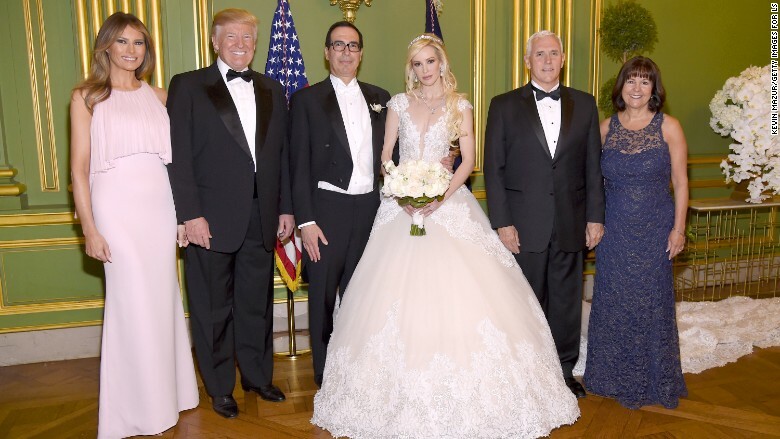 And then came Mnuchin's request to use a government jet, which would have cost $25,000 per hour, for his European honeymoon this summer. "This had nothing to do with convenience," Mnuchin said on Thursday at an event hosted by Politico. "This was purely about national security." 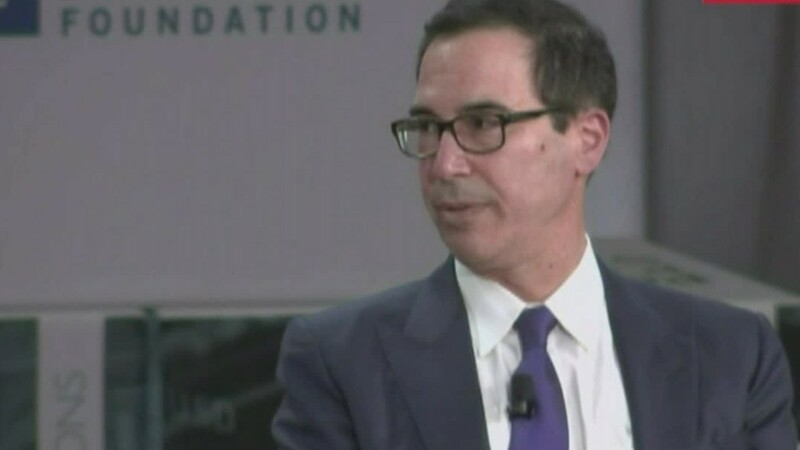 A Treasury spokesperson said it is "imperative" that Mnuchin, who is a member of the National Security Council and involved with national security issues tied to North Korea, Iran, and Venezuela, could communicate securely while traveling. The spokesperson told CNN that Mnuchin made the request to make sure he had access to secure lines of communication when he and his wife were abroad. "Treasury withdrew its request after a secure communications option was identified during the Secretary's extended travel," the spokesperson said Wednesday. On Thursday, Mnuchin said he's "very sensitive to the use of government funds." Adding, "I've never asked the government to pay for my personal travel. This was purely about alternatives of how I'd be able to be involved for national security." Still, Mnuchin's latest travel request has sparked a wider investigation by the agency's Inspector General beyond the secretary's trip to Kentucky. Delmar, counsel to the IG's office, told CNN the agency would be looking into every use of a government plane and every request of aircraft. "We are looking at all requests and uses of government aircraft," said Delmar. He said all the evidence collected will then be provided to Treasury and Congress. Mnuchin said he was advised by others who use "this form of travel," but didn't specify whether he had reached out to past Treasury secretaries on how they handled trips when they were required to handle national security matters. "We're in a different world," said Mnuchin. "We have North Korea doing nuclear tests and launching missiles."